Incendiary is the heartbreaking story of a young wife and mother whose family falls victim to a terrorist attack when a bomb explodes during a football match. Watching the horrific events unfold before her eyes on TV, her feelings of are intensified by guilt, because at the time of the blast she was with another man. Anguished, she rejects her lover and seeks comfort from the officer investigating the incident. Adapted from Chris Cleave’s controversial novel, Incendiary caused furore at the time of its release: appearing in bookshops only a week after the 7/7 attacks in London, the story seemed chillingly close to reality, causing major retailers to pull their marketing campaigns for the novel. 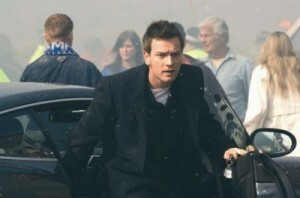 The film visited the Metropolitan Police training facilities near Gravesend to shoot the scenes under the football stadium, after the bomb has exploded. Incendiary was released in cinemas in October 2008 and is now available on DVD. This entry was posted in Filmed in Kent and tagged Chris Cleave, Ewan McGregor, feature film, Gravesend, Incendiary film locations, Metropolitan Police Training Ground, Michelle Williams. Bookmark the permalink.